The Persian nation contains a number of tribes as listed here... the Pasargadae, Maraphii, and Maspii, upon which all the other tribes are dependent.. Of these, the Pasargadae are the most distinguished; they contain the clan of the Achaemenids from which spring the Perseid kings.. Other tribes are the Panthialaei, Derusiaei, Germanii, all of which are attached to the soil, the remainder -the Dai, Mardi, Dropici, Sagarti, being nomadic..
Mede soldier with Archer ..
Persian-era carving of Persian and Median soldiers in traditional costume.. The 6 Median tribes resided in Media proper, the triangle between Ecbatana, Rhagae and Aspadana, in today's central Iran, the area between Tehran, Isfahan and Hamadan. Of the Median tribes, the Magi resided in Rhaga, modern Tehran..It was a sort of sacred caste, which ministered to the spiritual needs of the Medes.. The Paretaceni tribe resided in and around Aspadana, modern Isfahan, the Arizanti lived in and around Kashan and the Busae tribe lived in and around the future Median capital of Ecbatana, modern Hamadan..The Struchates and the Budii lived in villages in the Median triangle.. The word "satrap" originates ultimately (via Ancient Greek and Latin) from Old Persian xšaçapāvan ("protector of the province"), Sanskrit kshatrapam (क्षत्रपम्) or kshtrapa, from xšaça ("realm" or "province") and pāvan ("protector").. In Greek, the word was rendered as satrápēs (σατράπης)—which later borrowed into Latin as satrapes—from a Western Iranian cognate xšaθrapā(van). In modern Persian the descendant of xšaθrapāvan is shahrbān (شهربان), but the components have undergone semantic shift so the word now means "town keeper" (shahr [شهر] meaning "town" + bān [بان] meaning "keeper")..
Last edited by lightgiver; 10-09-2015 at 02:13 PM. Thanks Lightgiver. I always enjoy your posts. You love us when you feel us, always. You never hate us, always. Rise of an Empire - Battle of Salamis..
Artemisia I of Caria (Ancient Greek: Ἀρτεμισία; Persian: آرتمیس‎ fl. 480 BCE) was queen of Halicarnassus, a city of Dorian Greeks and Carians in the Achaemenid satrapy of Caria and of the nearby island of Kos, in about 480 BCE.. She fought as an ally of Xerxes I, King of Persia against the Greek city states during the second Persian invasion of Greece..
Map showing the Greek world at the time of the battle..
Last edited by lightgiver; 10-09-2015 at 05:10 PM. I think Lightgiver provides such a wealth of information across such an eclectic diversity of subjects, juxtaposed with cryptic one-liners from famous films which certainly proffer food for thought, all presented with an eye catching array of font colours. There is certainly a rich , colourful and vibrant continuity and synchronicity in it all which weaves a rich texture upon the boards from which all may benefit. Very much a stand alone threader upon the tapestry of the boards....and with 33,564 posts to Lightgiver's name probably the most prolific poster here. Last edited by cosmic tramp; 12-09-2015 at 04:29 PM. Daesh is also an acronym for an Arabic variation of the group’s name: al-Dawla al-Islamyia fil Iraq wa’al Sham. Sham 69 - Hurry Up Harry.. If you notice the anagram of Daesh is Hades. Legends have it that King Hushang, the 2nd king of the mythological Pishdadian dynasty (Pishdad means to give the Law), established the Sadeh tradition..Sadeh celebrates 50 days before Nowruz. 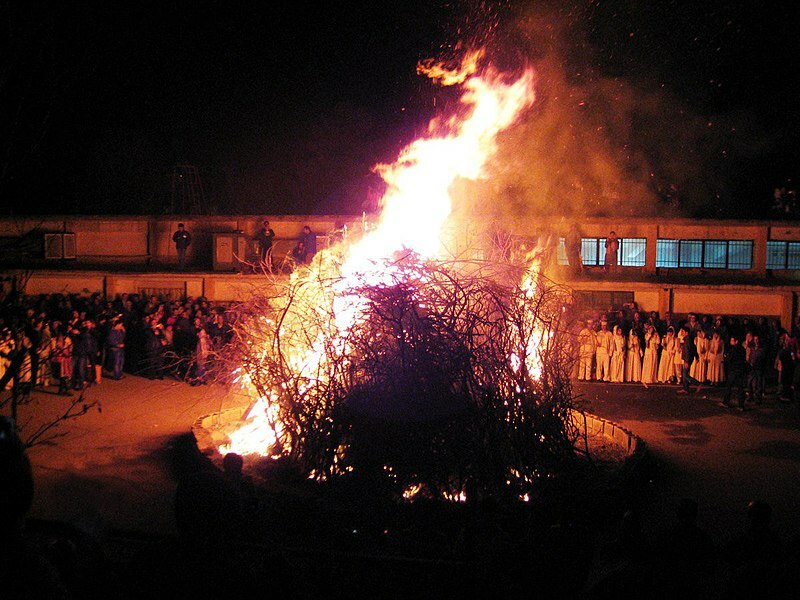 Sadeh in Persian means "hundred" and refers to one hundred days and nights past the end of summer (or the beginning of long-winter known to start at the end of summer in ancient Persia/Iran)..During ancient times, Jashn-e Sadeh was celebrated by lighting fire. For Zoroastrians the chief preparation for Sadeh was and still in some parts is the gathering of wood the day before the festival..The "eternal fire" also symbolizes the love of homeland which is always alive like a fervent fire in the people's hearts..
Sadeh in Tehranpars Markar, 2011..
Last edited by lightgiver; 08-10-2015 at 08:11 PM. Spooks Series 3 Episode 6.. 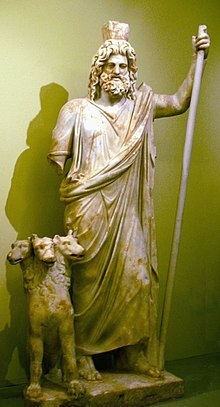 In the Near eastern myth of the primitive agricultural societies, every year the fertility goddess bore the "god of the new year", who then became her lover, and died immediately in order to be reborn and face the same destiny..Various local traditions place Persephone's abduction in a different location.. The Sicilians, among whom her worship was probably introduced by the Corinthian and Megarian colonists, believed that Hades found her in the meadows near Enna, and that a well arose on the spot where he descended with her into the lower world..In the myth Pluto abducts Persephone to be his wife and the queen of his realm.. Pluto (Πλούτων, Ploutōn) was a name for the ruler of the underworld; the god was also known as Hades, a name for the underworld itself. The name Pluton was conflated with that of Ploutos (Πλούτος Ploutos, "wealth"), a god of wealth, because mineral wealth was found underground, and because Pluto as a chthonic god ruled the deep earth that contained the seeds necessary for a bountiful harvest..
Persephone also appears as a character in The Matrix Reloaded and The Matrix Revolutions.. She is the wife of the Merovingian, a powerful program that handles other programs exiled from the Matrix.. In the Matrix Revolutions, they are seen together as being seated in a rave club named Club Hel, possibly a strong reference to Hel, the underworld of Norse Mythology, and Hell, the underworld in Christian Theology..The Greek version of the abduction myth is related to corn – important and rare in the Greek environment – and the return (ascent) of Persephone was celebrated at the autumn sowing..At the beginning of the feast, the priests filled two special vessels and poured them out, the one towards the west, and the other towards the east..The high point of the celebration was "an ear of corn cut in silence", which represented the force of the new life..Hades, according to various Christian denominations, is "the place or state of departed spirits"..
Last edited by lightgiver; 08-10-2015 at 09:30 PM. LoGo for Aladdin (TV series)..
Last edited by lightgiver; 26-10-2015 at 05:16 PM. Wine is so very dear in Paris, on account of the duties laid on it, that it seems as if there were an intention to fulfil the injunctions of the divine Koran, which prohibits the use of strong drink.. The Doors Live In Copenhagen 1968.. When I consider the disastrous effects of that liquor, I cannot help regarding it as the most baleful of nature’s gifts to men.. If there is one good thing that has soiled the lives and the good fame of our monarchs, it has been intemperance; that is the chief and vilest source of their injustice and cruelty.. But, when I disapprove of the use of this liquor which deprives men of their reason, I do not also condemn those beverages which exhilarate the mind. The wisdom of the Orientals shows itself in their search for remedies against melancholy, which they prosecute with as much solicitude as in the case of the most dangerous maladies. When a misfortune happens to a European, his only resource is to read a philosopher called Seneca; but we Asiatics, more sensible, and better physicians in this matter, drink an infusion which cheers the heart and charms away the memory of its sufferings.. 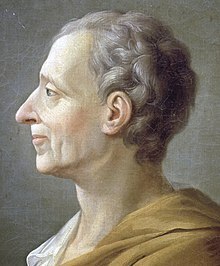 There is no greater affliction than those consolations which are drawn from the necessity of evil, the inefficacy of remedies, the inevitableness of destiny, the dispensations of Providence, and the wretched state of mankind generally. It is mockery to think of lightening misfortune, by remembering that we are born to misery; it is much wiser to raise the mind above these reflections, to treat man as a being capable of feeling, and not as a mere reasoner..
Last edited by lightgiver; 26-10-2015 at 05:46 PM. The Sufi has no miracles but that of non-existence; Who am I? I am the sign and the manifestation of non-existence.. In his book, "The Sufis", Idries Shah theorized that Baphomet was really a corruption of the Arabic term "Abufihamat" meaning "Father of Understanding." If this is the case, and the Templars had adopted Sufism into their rituals this possible etymology of Baphomet could simply imply God..Additionally, Shah suggests the Sufi terminology "ras el-fahmat" which translates to "head of knowledge.".. "Gauserand de Montpesant, a knight of Provence, said that their superior showed him an idol made in the form of Baffomet; another, named Raymond Rubei, described it as a wooden head, on which the figure of Baphomet was painted, and adds, "that he worshipped it by kissing its feet, and exclaiming, 'Yalla,' which was," he says, "verbum Saracenorum," a word taken from the Saracens.. A templar of Florence declared that, in the secret chapters of the order, one brother said to the other, showing the idol, "Adore this head—this head is your god and your Mahomet.".. On April 15, 2014, the Moon passed through the southern part of the Earth's umbral shadow.. It was visible over most of the Western Hemisphere, including east Australia, New Zealand, the Pacific ocean, and the Americas.. In the western Pacific, the first half of the eclipse occurred before moonrise.. In Europe and Africa, the eclipse began just before moonset.. Mars, which had just passed its opposition, appeared at magnitude -1.5 about 9.5° northwest of the Moon..Spica was 2° to the west, while Arcturus was 32° north. Saturn was 26° east and Antares 44° southeast..Charleston, West Virginia, 7:44 UTC - Minneapolis, Minnesota, 7:46 UTC - San Jose, California, 8:23 - End of totality..
Arsenal (1985) Complete HQ Film..
As the flood waters receded after theVenus cataclysm the survivors came down from the mountains and up from within the Earth.. They settled on the lowlands and plains and began to rebuild.. This was when Sumer, Egypt and the civilization in the Indus Valley suddenly appeared at a very high level of technological advancement, although they had existed before and were now restored after the upheavals.. The Great Sphinx partly under the sand.. The "brotherhood text" in cuneiform inscriptions on cones plundered from the site in the 1930s records the friendship pact of Entemena, governor of Lagash, and Lugal-kinishedudu, governor of Uruk.. It identifies Entemena as the builder of the temple E-mush to Inanna and Dumuzid, under his local epithet Lugal-E-mush..Some badly effaced half-bricks on the surface of the mound bore the inscription of Amar-Sin, of the Third Dynasty of Ur.. Pieces of vitrified brick scattered over the surface of the large mound bore witness to the city's destruction by fire..Possession of the city passed between Larsa, whose king Sin-Iddinam claims to have built the great wall of Bad-tibira, and Isin, whose king Lipit-Ishtar, "the shepherd of Nippur", claimed to have built the "House of Righteousness" there.. The king list gave particularly long rules to the kings who ruled before a great flood occurred, and shows how the center of power progressively moved from the south to the north of the country. Adapa, a man of Eridu, is depicted as an early culture hero. .Identified with U-an, a half-human creature from the sea (Abgallu, from ab=water, gal=big, lu=man), he was considered to have brought civilization to the city during the time of King Alulim was the first king of Eridu, and the first king of Sumer, according to the mythological antediluvian section of the Sumerian King List..Enki, the god of Eridu, is said to have brought civilization to Sumer at this point, or just shortly before..Significantly it was from this same region that all the world’s major religions emerged and this is no accident.. In earlier times, the civilizations of Sumer, Babylon and Assyria were in the general area of what we call Iraq, while Turkey was previously known as Asia Minor and Persia..
Last edited by lightgiver; 22-01-2016 at 06:14 PM. Mister Postman, look & sea..
Last edited by lightgiver; 22-01-2016 at 09:16 PM. Beginning with Lugal-zage-si and the Third Dynasty of Uruk (which was defeated by Sargon of Akkad), a better understanding of how subsequent rulers fit into the chronology of the ancient Near East can be deduced..The exact date of Sargon's birth or even death are unknown.. According to the short chronology, he reigned from 2270 to 2215 BC (the Middle Chronology lists his reign as 2334 to 2279 BC).. 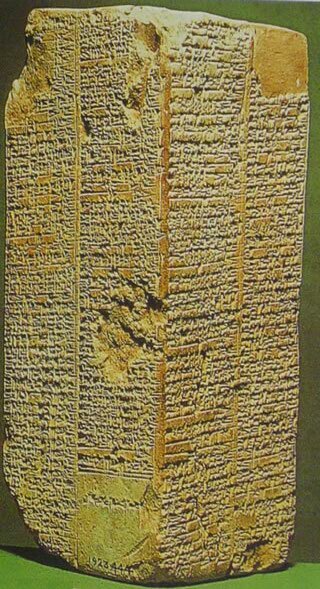 These dates are based on the Sumerian king list..The story of Sargon's birth and childhood is given in the "Sargon legend," a Sumerian text purporting to be Sargon's biography.. The extant versions are incomplete, but the surviving fragments name Sargon's father as La'ibum..After a lacuna, the text skips to Ur-Zababa, king of Kish, who awakens after a dream, the contents of which are not revealed on the surviving portion of the tablet..For unknown reasons, Ur-Zababa appoints Sargon as his cup-bearer.. Soon after this, Ur-Zababa invites Sargon to his chambers to discuss a dream of Sargon's, involving the favor of the goddess Inanna and the drowning of Ur-Zababa by the goddess.. Deeply frightened, Ur-Zababa orders Sargon murdered by the hands of Beliš-tikal, the chief smith, but Inanna prevents it, demanding that Sargon stop at the gates because of his being "polluted with blood"..
Sargon of Akkad, also known as Sargon the Great "the Great King" ( Šarru-kīnu, meaning "the true king" or "the king is legitimate"), was a Semitic Akkadian emperor famous for his conquest of the Sumerian city-states in the 24th and 23rd centuries BC.. The founder of the Dynasty of Akkad, Sargon reigned during the penultimate quarter of the third millennium BC. Cuneiform sources agree that he was cup-bearer (official in charge of wine) of king Ur-Zababa of Kish, and some later historians have speculated that he killed the king and usurped his throne before embarking on the quest to conquer Mesopotamia.. He was originally referred to as Sargon I until records concerning an Assyrian king also named Sargon (now usually referred to as Sargon I) were unearthed..Sargon's vast empire is thought to have included large parts of Mesopotamia, and included parts of modern-day Iran, Asia Minor and Syria..His dynasty controlled Mesopotamia for around a century and a half..He is a well known king of the Akkadians.. The Conspiracy of Claudius ..
Last edited by lightgiver; 28-01-2016 at 01:08 AM. Gul is a Persian and Turkish name, it is also used as a family name, which is common in Central and South Asia, Afghanistan, Iran, and Turkey.. The term also refers to the central medallion of many Turkish carpets..Gul in Persian and Turkish languages means rose, it is also an abbreviation used in the medieval and early modern periods for William (derived from French Guillaume), for example in the signature "Gul: Ebor" for William Dawes, Archbishop of York..Numerous early Christian martyrs were named Valentine..Saint Valentine is the patron saint for a large part of the Lebanese population. 2001 biography of Freya Stark..
Valentine's Day postcard, circa 1910..
Last edited by lightgiver; 14-02-2016 at 07:18 PM. BBC 4 (UK) Tonight ( Sunday) 9pm Documentary on how the Shah of Iran spent £270 million on a party in 1971 to celebrate 2,500 years of the Persian empire, a party attended by Prince Philip and Princess Anne. Last edited by cosmic tramp; 14-02-2016 at 07:41 PM. The Al-Fakkah Field, also known as Jebel Al-Fauqi or Jebal Al-Fauqi, is an oil field located in southern Iraq's Maysan Governorate and Khūzestān Province, Iran.. The oil field produced 50,000 barrels per day (7,900 m3/d) prior to the 2003 Iraq War and is part of the Maysan oilfield complex that altogether holds reserve of 2.5 billion barrels (400×106 m3).. The oilfield is considered shared but an area of dispute between Iraq and Iran.. Iraq unsuccessfully put the oil field up for bidding in 2009..Iraq and Iran have been in dispute over the Fakkah oil field and other adjacent fields such as the Abu Ghurab, and Buzugan since 2003..On December 18, 2009, about a dozen Iranian troops crossed 3 hundred yards into Iraq and seized oil well No. 4 in the Fakkah Field, raising the Iranian flag on site.. The incident infuriated Iraq who demanded that Iran withdraw..While the Fakkah oil field is considered shared, Iraq considers well No. 4 as theirs..The Karun 3 and 4, and Karkheh Dam, as well as the petroleum reserves provide Iran with national sources of revenue and energy.. The petrochemical and steel industries, pipe making, the power stations that feed the national electricity grid, the chemical plants, and the large refineries are some of Iran's major industrial facilities..
Iran-Iraq War 1980 to 88 - Part 1 of 3.. Since its origin as an ideologically driven militia, the Army of the Guardians of the Islamic Revolution has taken an ever more assertive role in virtually every aspect of Iranian society..The force's main role is in national security.. It is responsible for internal and border security, law enforcement, and also Iran's missile forces..These include the control of smuggling, control of the Strait of Hormuz, and resistance operations..The IRGC was formed on 5 May 1979..The Iran–Iraq War was an armed conflict between the Islamic Republic of Iran and the Iraqi Republic lasting from September 1980 to August 1988, making it the 20th century's longest conventional war..
Last edited by lightgiver; 20-02-2016 at 10:08 PM. So it was about a key milestone in Iran's history which I thought was both pertinent and relevant to this thread. That's so what. Very interesting it was too in shocking type of way , a vast banquet of backfiring diplomacy.